The Q5 package is one of our most sophisticated EPOS Systems suitable for use in bars, pubs, cafes, restaurants, bistros, wine bars and delis. 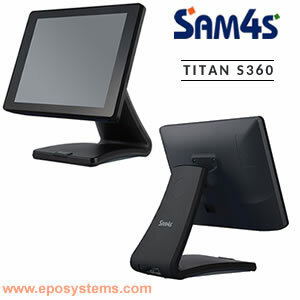 This advanced system is pre-loaded with the latest SamTouch EPoS software to meet a variety of hospitality business requirements. The Q5 system includes fast Point-of-Sale functions for eat-in and takeaway orders, with stock control, comprehensive sales reporting, staff performance monitoring, financial accounting reports and a range of sales analysis reports to give you total management control. The Q5 system features the modern-design high-performance Sam4s Titan S160 15" Touchscreen Terminal with its slimline design, waterproof front, silent operation and fast performance. 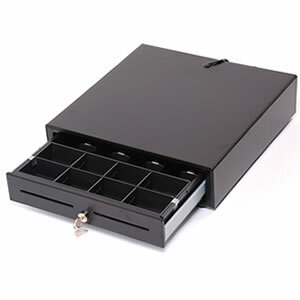 As standard, the Q5 package includes a full-size robust Cash Drawer and a fast Sam4s Thermal Receipt Printer. The solid technical specification and the established EPoS software enable the Q5 to provide many years of reliable use for your business. It supports multiple sizes (eg. Small / Regular / Large, Pint / Half Pint, Single / Double, 125ml / 175ml / 250ml, Glass / Bottle / Jug etc) and allows customised pop-up choice windows where required (eg. White Bread / Brown Bread / Roll / Baguette, Vanilla / Strawberry / Chocolate, Rear / Medium Well / Well Done etc) with upto 20 options per pop-up, and multiple pop-ups where required (eg. Bread, Filling, Dressing). 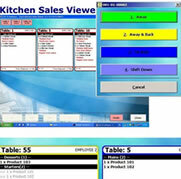 For restaurants, the Q5 keeps track of tables on a user-friendly and speedy-use Graphical Table Map. 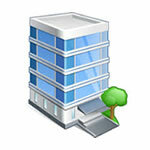 When setting up the map, this can incorporate multiple zones or floors and function rooms. Tables can be sized and shaped (eg. 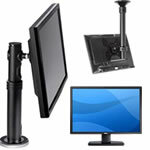 square, rectangular, circular) or you can even load actual photos of your premises and furniture to provide a real view. 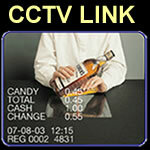 Bar tabs can be set, storing the name and running balance with an itemised bill. 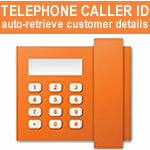 For telephone and delivery orders, the system will keep track of bills until payment is registered. For hotels, the system can track bills for a room, allow bills to be transferred from a bar tab or restaurant table to a room number, and can print interim stubs for the customer to sign as proof of purchase. Bills can allow deposit payments, bills can be transferred from one table to another, bills can be easily split between multiple customers either on a 'go dutch' basis or by individual items, and there is an extensive array of discounting functions, as well as surcharges (eg. Service Charge), which can be calculated automatically or applied manually. 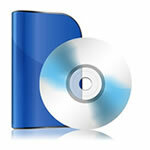 You can discount by an amount or percentage, either to a particular item or to the while bill. You can mark a bill item 'Complimentary". More sophisticated set up allows discount buttons to be applied for particular groups, such as 'food only' or selected items on the menu. 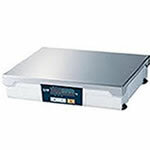 Optional extras are available such as Wireless Waiter Tablets that use your local WiFi to communicate orders instantly to the kitchen, Telephone Caller ID and Customer Database for efficient handling of telephone orders for food delivery, Postal Address Lookup for fast entry of customer address details, Weighing Scale Link for automated pricing of meat, fish, cheese and deli items, real-time link to the Mobo2go Online Food Ordering Website so that online orders are instantly printed in the kitchen, the collection slip or drivers delivery is printed, and outstanding payment is tracked. 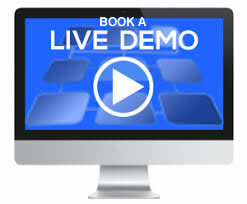 There are also options for real-time Live Sales Reporting either using your Android Smartphone or using any PC/Tablet device with a web browser from anywhere in the world. 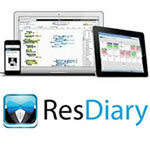 There is also optional integration with the ResDiary Booking System so your customers can book table reservations by phone, through your website or through their smartphone. 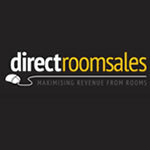 For independent hotels, the software also links to your Direct Room Sales (DRS) bookings website. 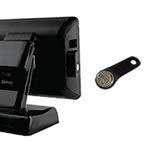 Peripheral options include a Kitchen Printer, a 2-line or Graphical Advertising rear customer display, a Magstripe Card Reader for membership or loyalty cards, and a Dallas Key Reader for fast, secure staff login with key fobs. See Options tab above. 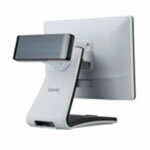 The Q5 can be operated as a single terminal system or a network of upto 16 terminals. On a multi-terminal network, the master (first) terminal holds the shared database and allows consolidated reporting as well as reporting by individual terminal. Menu and price changes on the master terminal are instantly updated on all terminals / tablets in real-time. As the Q5 system is not cloud-based, performance is amazingly fast whether you have a single terminal or a network of 16 terminals all operating at the same time in a busy, fast-paced environment. With the optional web-based SamTouchOffice back office app, you can virtually live monitor sales and takings from any PC or Tablet, either at the premises or remotely from anywhere in the world (internet connection is required for SamTouchOffice). 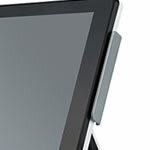 The Titan S160 15" Touchscreen Terminal has a modern slimline design, operates silently, has a waterproof front and boasts a powerful specification with Intel processor, 2gb RAM, 64gb SSD storage and the latest Windows 10 IoT operating system. only suitable in open-plan areas with solid WiFi signal and where WiFi Router is in direct proximity without obstruction (ie. no doors, corridors, walls, stairs or ceilings). For Serial printers, a 2m data cable is included. 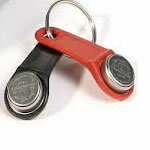 Longer cable lengths (high quality shielded serial cables) are available upto 30metres length at £20 plus £1 per metre. For Ethernet printers, a Cat5 Ethernet network cable will need to be run from the printer to your Router, and each of your POS terminals connected by Ethernet cable to the same Router. 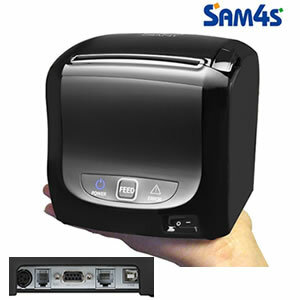 SamTouchOffice is a web-based back office system for SamTouch. It allows remote reporting (from regular 1 - 99 minute intervals) and centralised product/prices management as well as stock reporting, purchase ordering, supplier database and order/delivery tracking. 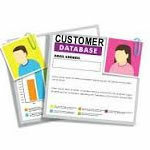 Sales analysis, cash management, staff performance and various other reports. Get up-to-the-minute summary of financial totals showing takings with cash and card payments, summary of sales by category and by individual product line, staff sales performance and hour-by-hour analysis for each till. Requires an Android-based Smartphone, and internet connection with Static IP Address at your premises. Note: this reporting App is not available for Apple phones. 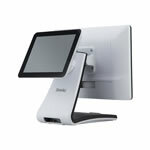 If you require remote management / reporting via Apple or other devices, please see the SamTouchOffice back office system. 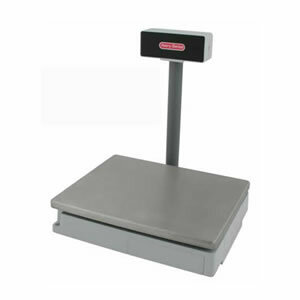 You will need to setup a dedicated new merchant account via ourselves. 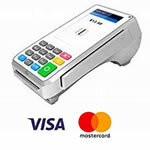 After completing account setup formalties, the merchant account provider will then supply a compatible card terminal loaded with the appropriate software for use with the SamTouch epos software and we will assist with it's integration to the epos system. The standard terminal is a wired terminal that requires connection to your Router and internet access. An optional wireless terminal (using GPRS) is also available and this supports the 'Pay at Table' feature..
You cannot use any other merchant account or existing account for integrated card payment processing with SamTouch. Only a new merchant account set up via ourselves will be integrated by us. 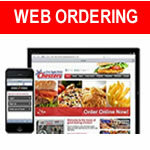 Mobo2go Food Ordering Website. Your customised food ordering website setup with your menu, colour scheme and prices, and with option for online card payment processing. 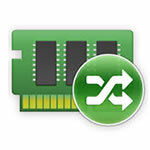 Works on desktop browsers, tablets and smartphones. 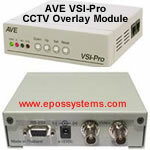 Includes Web Control Panel for you to manage orders and control operating parameters. 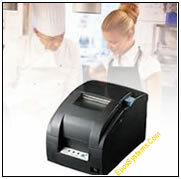 Integrates directly with the SamTouch EPOS Software (internet connection required), prints kitchen tickets and bills for online orders and allows tracking of outstanding payments. You can register for online card processing so your customers can pay by card online. 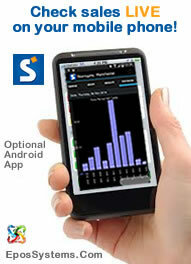 In addition to the website, a personalised iPhone and Android App is also available for your customers to download. 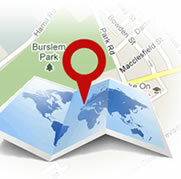 The apps are registered at the Apple Store and on Google Play Store and customised with your branding and menu. Your customers can order food/drinks directly from your app and the order will instantly print on the Q5 system's kitchen printer and a bill/receipt will also be printed showing if payment has been made or is due. There is an additional £300 setup fee for the optional smartphone apps feature and they can take 2-4 weeks to complete. 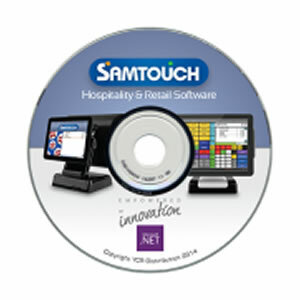 For independent hotels, B&B's and Guest Houses who use the DRS online bookings system, this module provides integration with the SamTouch epos software so transactions are automatically loaded onto the system. Please contact us for further details and pricing. Also see DRS Website for subscription details. Express Same Day Despatch Option £45 : If you require same day despatch of the Q5 system for delivery to a UK Mainland address within 1-2 working days, your order with cleared payment must be completed by 12noon Monday-Friday. Saturday 20-April-2019 00:02 Our office is currently closed. We will be open again from 9.30am Monday.